Please Note: We do not ship clearance priced hot tubs outside of our trade area. Kick back in the deep contours of the 730L and experience all that the revolutionary new Crossover Collection Spa has to offer. 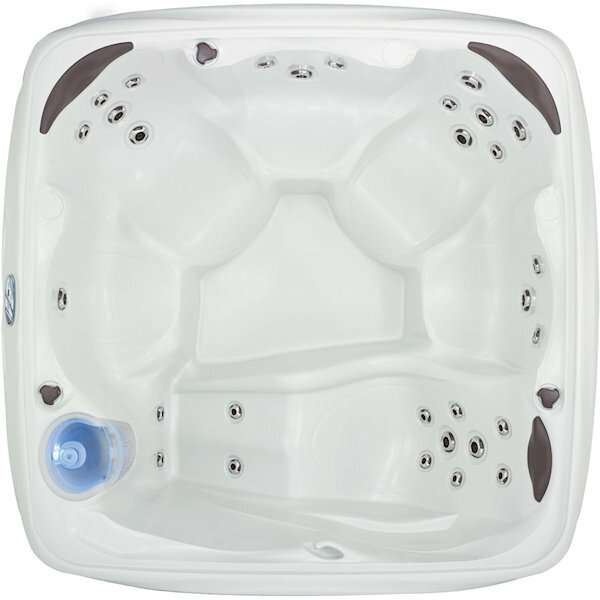 This 5-6 person hot tub has 30 adjustable jets that target shoulders, back muscles and feet for a massaging hydrotherapy experience. Enjoy the comfort pillow headrests to enhance your relaxation. For entertaining or unwinding, the MoonGlo Waterfall with Back-lit LED Light and 8 exterior cabinet lights allow you to set the perfect mood.